Stripes is a classic print that can be worn in various ways. 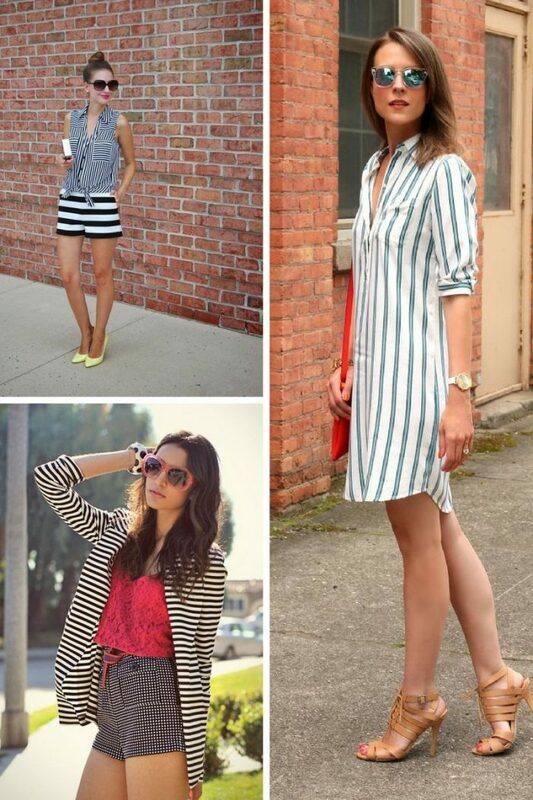 In today’s article, I am going to show you various ways how to wear stripes this Summer. I know many girls who afraid of wearing stripes, as they afraid of looking weird and big. 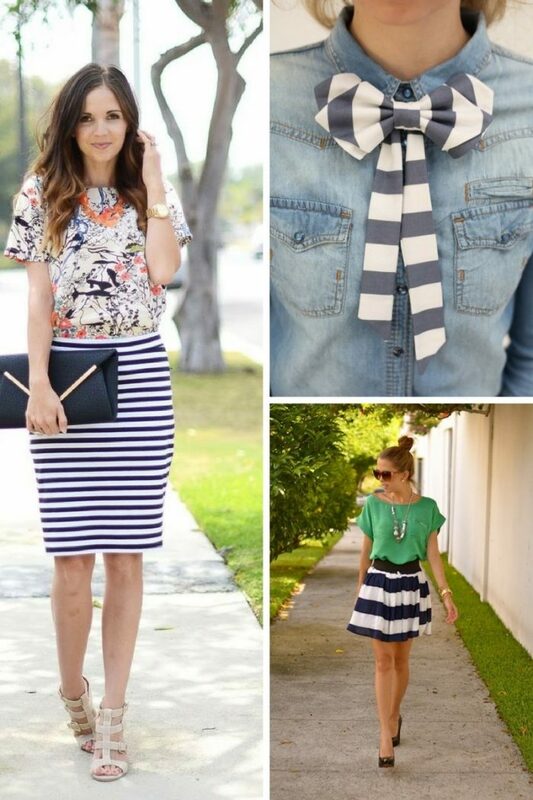 In real life, stripes can actually be very flattering, all you need is to create a perfect outfit. I decided to show you my favorite looks that feature stripes. Keep on reading to see all of them. Let me know your thoughts in the comments below. The first idea that popped in my mind is to go for black and white garment. This is an ideal choice for those ladies who want to achieve that very special and edgy look to make a statement on the streets. Here are shown two outfit ideas. The first one is posh and elegant consisting of black and white striped blouse tucked in bright blue bottom flared skirt and the other one is a long-sleeve striped T-shirt paired with black skinnies. Most of ladies tend to avoid wearing horizontal stripes. Why? They afraid this print makes them look wider. This is a big delusion. They actually can make you look more slender. The key to look thinner with horizontal stripes is to stick to ideal proportions. If you are tall lady, then you better choose wider stripes, if you are petite gal, then I recommend to wear thinner stripes. If you want stripes to harmonize with your outfit, then you should anchor them down with neutral garments. For instance, you can style horizontal white and black striped top with light brown leather jacket and dark blue skinnies. The vertical stripes are ideal for petite gals who want to dress up their everyday outfits and appear looking taller. Try vertical striped skinny pants with your favorite graphic tee, or keep things sophisticated by wearing a totally vertical striped pantsuit that can be completed with heels or stilettos. If you are bold enough to look vibrant, then the best way is to mix stripes with other prints. For instance, you can pair polka dot shirt with high-waisted midi striped pencil skirt, or keep it sweet looking by wearing floral print blazer atop striped shirt-dress. This is an adventurous way how to make your outfit look bright and fun. Do You have any thoughts about Striped Clothing And Accessories For Summer? Here are Fashion Tips pictures and trendy women’s outfits which are in style in 2019: Best Summer Fashion For Ladies, Must Have Fashion Trends For Women, Street Style Women's Fashion And Inspiration, Striped Blazers, Striped Bow Ties, Striped Dresses, Striped Shirts, Striped Skirts and tips on how to wear them on the streets.